You press and it gets brighter: magic ! 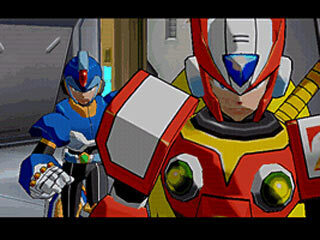 Hey, back off Zero, that was my close-up ! 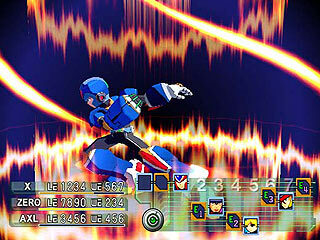 "Play as the hero from the Mega Man X series in his first speed-based, turn style role-playing adventure. 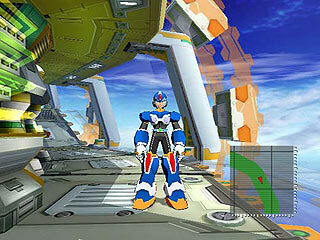 Joining Mega Man are Axl and Zero, teammates from the X series. 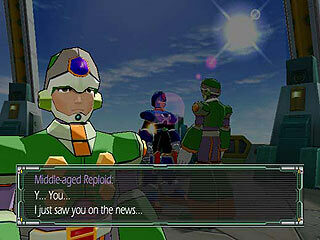 Plus, there are five new playable characters, including a mysterious female robot reploid. 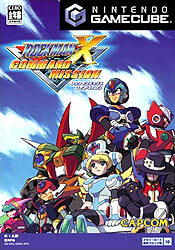 Your mission is to infiltrate Giga Island and stop the rebellion started by General Epsilon and his Liberion Army. You�ll be able to customize your characters using accumulated experience points and combine attacks to defeat your dastardly enemies." 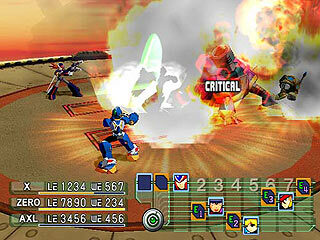 - Use special combos to change character abilities and weapon attributes"
Yeah, the game is great. They SHOULD make a second one. I haven't beaten Ninetails yet (isn't Ninetails also a Pokemon's name?). Also, why does everyone say that X is a homosexual? He just doesn't have a girlfriend. I think this game is very, very good I believe that there should be a second one. THIS IS ONE OF MY FAVOURITE GAMES AROUND! but like most games it gets really boring after you beat the last boss (Ninetails). 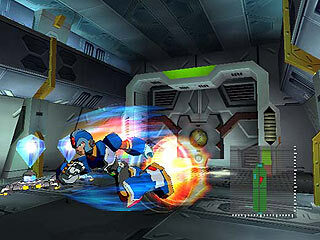 I say that this is the first MegaMan X game for GameCube and maybe the best for any Mega Man X fan. 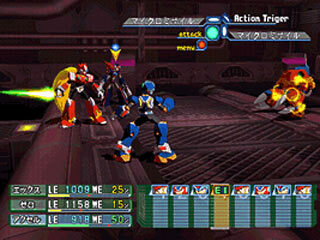 Everything in the game was nearly true to the Megaman X saga, but one thing bugged me. 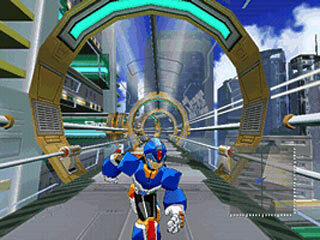 Zero sounded like a surfer. 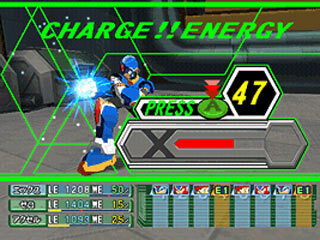 ^^; I expected him to be more like he was on X7. The way he should be.